MUSIC...what a gift! And on further inspection of sound, Pythagoras showed us that tone and frequency can be measured aesthetically with geometrically. 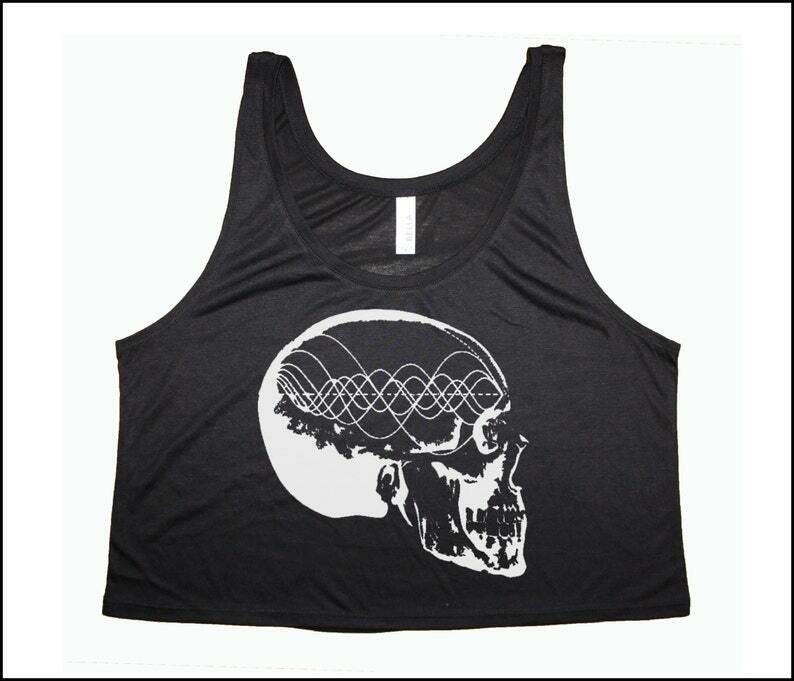 In this design, his tone resonates inside the human skull. Maestros, begin! Softest tank yet! 65% polyester/35% viscose 3.7 oz. Cropped. The fit is super boxy and awesome. Plenty of room for rompin! Follow us on Instagram and Tumblr for action shots of the apparel!